Please note that this showroom location is now closed, and we have relocated to our brand new showroom in Clifton – please visit Kelly, Phillip and the same team in their beautiful new showroom. Our beautiful specialist timber showroom is located half an hour from central Bath on the A368 at Bishop Sutton near the Chew Valley lake. You are welcome to drop in at your convenience and browse through our comprehensive collection of traditional and contemporary double glazed timber windows, sash windows and doors, together with selected pieces from the beautiful hand oiled oak range. 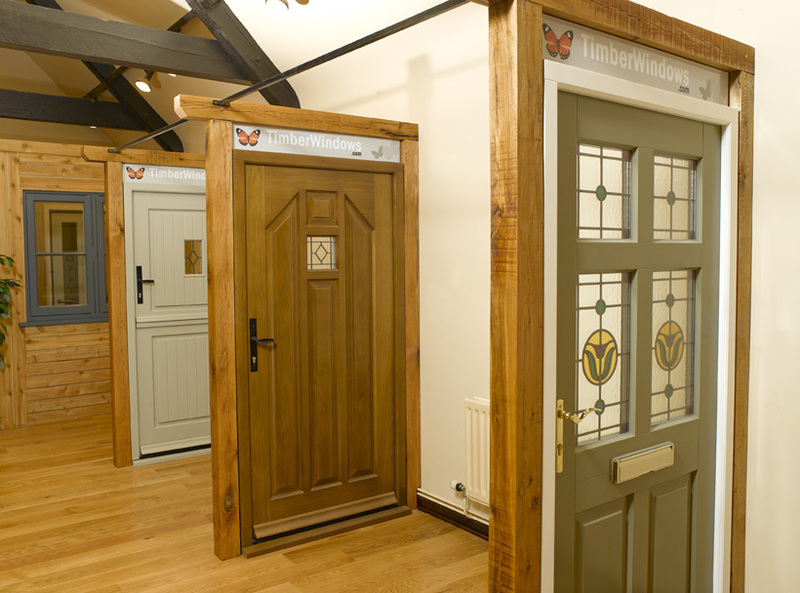 We have examples of ironmongery – door handles, letterboxes and all manner of window fixings for casement and sash windows with many options for your new double glazed windows or solid wood doors on show for you to view – we highly recommend visiting our showroom so you can see the quality for yourself and to explore the specifications available to your requirements and budget. Why not combine your visit with a walk around the Chew Valley Lake, beautiful at all times of the year.